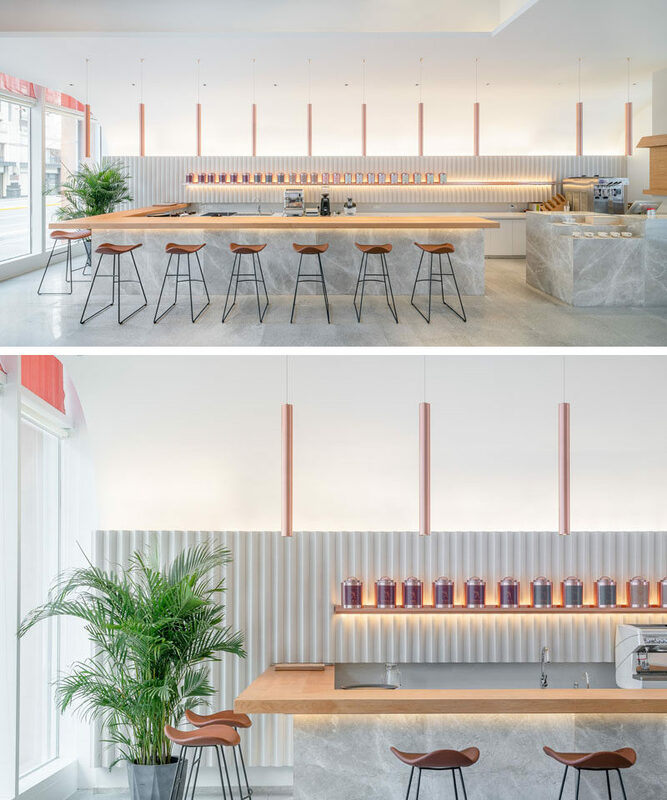 OFFICE COASTLINE have recently completed a new tea house in the city of Shanghai, China, for the life-style brand “Genshang”. 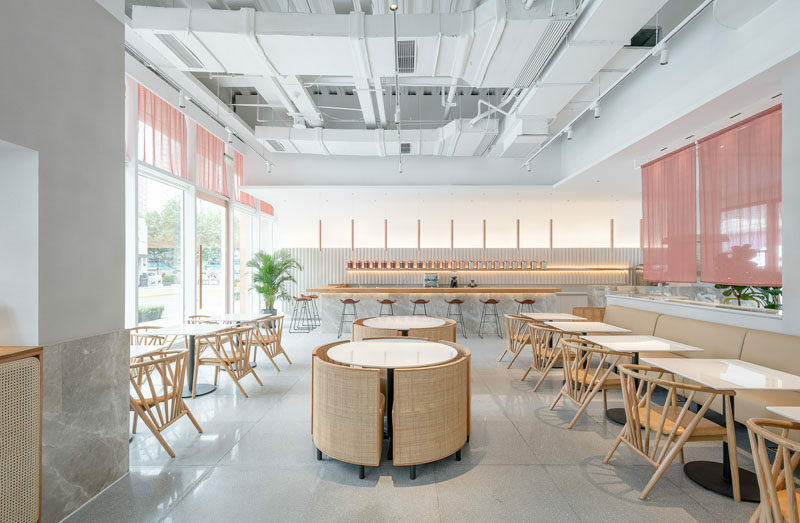 Named the GENSHANG Restaurant, the facade is framed by copper, an interpretation of their brand color, while the entryway is recessed and open to the side. 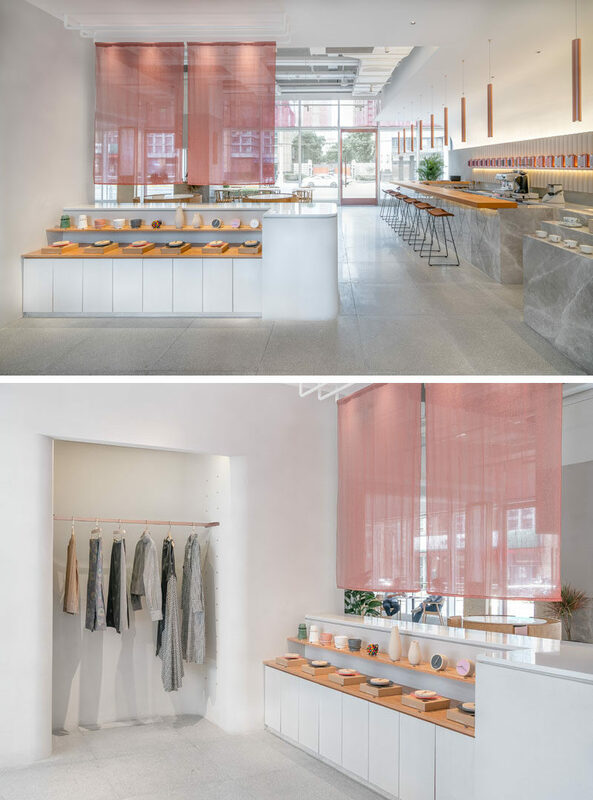 Inside, there’s a small display area and an alcove for hanging coats, while sheer pink curtains create a divide between the lobby and the rest of the tea house. 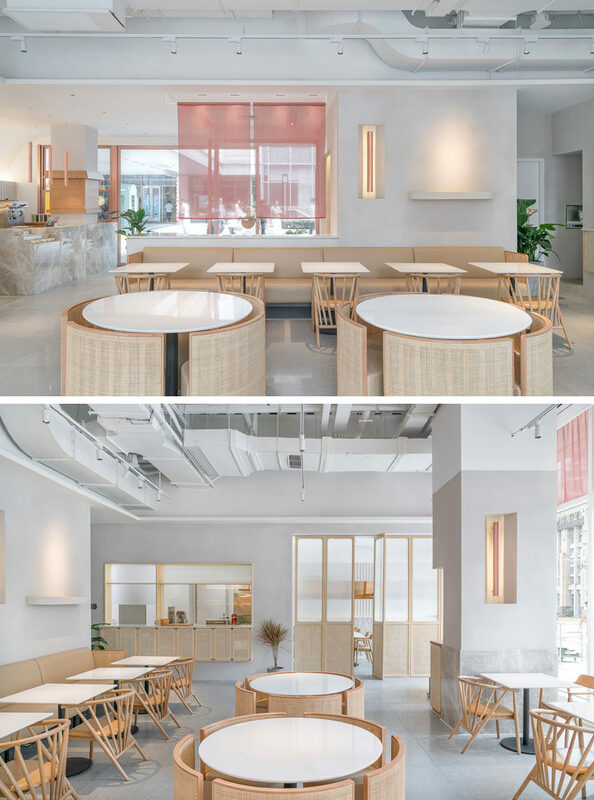 A long timber counter runs along one side of the interior, and serves Chinese tea in the daytime and cocktails at night. The half-vaulted ceiling is adorned with copper pendant lights to create a cozy atmosphere. 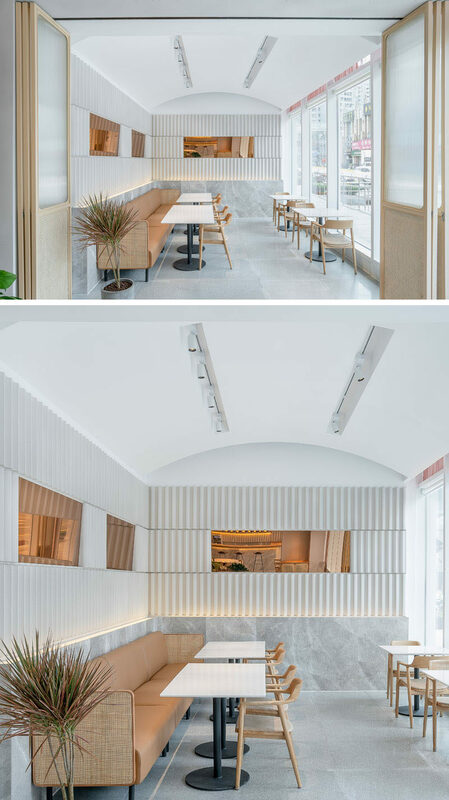 The main dining area has a high exposed ceiling to create an open and spacious environment. 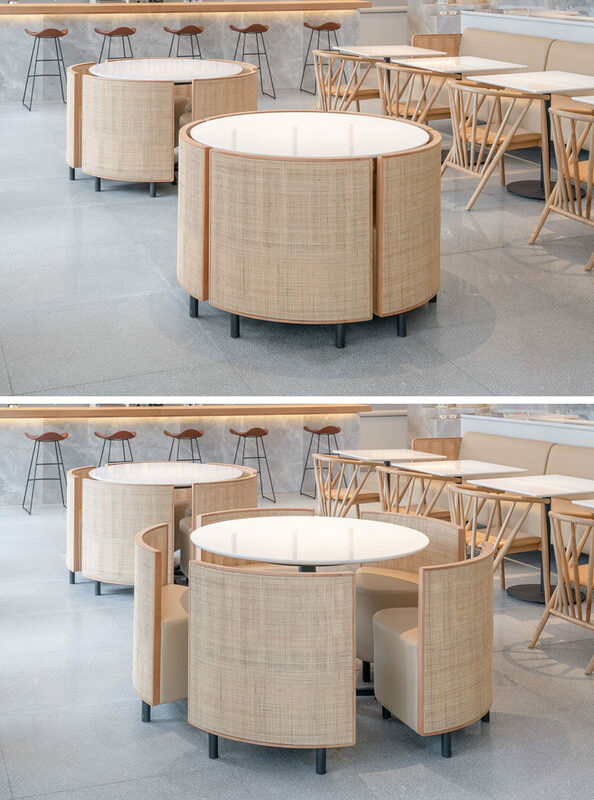 A custom designed table and chairs set, inspired by the shape of a cake, creates seating for diners, however the chairs can be tucked away under the table when there’s a party, and the set can then be used as a display table. Located behind folding doors is the lounge room. It has a curved vaulted ceiling, and a long couch that runs the length of the wall. The doors can be closed when required for meetings and small events.